For headaches, pain & fever of colds, muscle aches and pains, menstrual pain, toothache, minor aches and pains of arthritis. 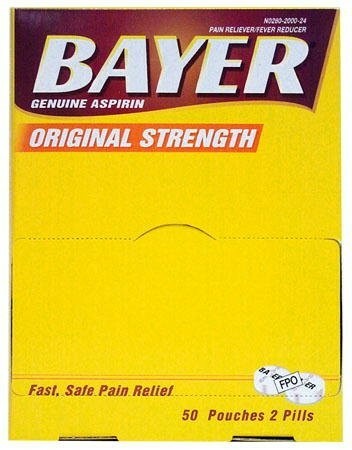 2 pills per pack. 50 packs per display. You delivered what I ordered in the time frame promised at a competitive price.